The modern district of Bruntsfield lies east of Bruntsfield Links park and golf link, beyond which lies the district of Marchmont; Merchiston is to the west and Tollcross to the north. To the south and east lies the former estate of Greenhill, and to the south Morningside. The estate around the grand Bruntsfield House is now called Marchmont (which the Warrender family began feuing in 1872, many of the street names reflecting associations with that family). The whole area lay within the Burgh Muir of Edinburgh, from which a former farm Burghmuirhead took its name which passed eventually to a small area within Bruntsfield. The Burgh Muir stretched all the way through the valley of the Jordan Burn to the slopes of the Pentland Hills. The junction beyond Burghmuirhead on the road to Morningside became known in the twentieth century as Holy Corner from its cluster of Victorian churches. Bruntsfield Links is home to a nineteenth century pitch and putt golf course. 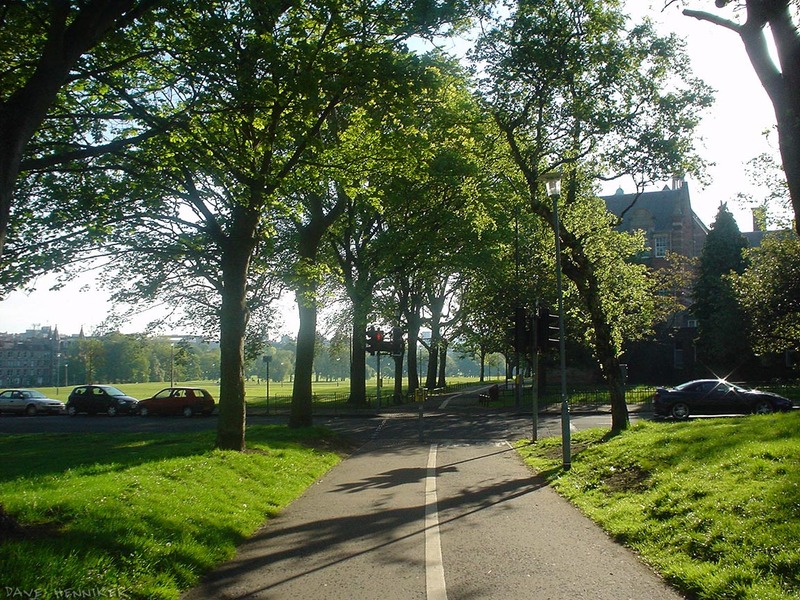 The links continue north east to Melville Drive where it meets The Meadows, a park formed when the old Burgh Loch was drained. At the southern end of the links, near Bruntsfield House, a distinct indentation formed by a former quarry is known locally as Tumbler’s Hollow.